I'm offering: a science fiction love story as a graphic novel, accompanied by the music of J. Peter Schwalm. A new sequence will premiere every two weeks in the Museum Angewandte Kunst (Museum of Applied Art), Frankfurt, Germany. You love: being in love, graphic novels, black and white, sensuous drawings, intense memories, cool stories, wild museum nights, doomsday scenarios, science fiction, design, art and a mix of music and visuals. Humourous, seductive and direct, this is about love today, tomorrow and in all eternity. In flashback and flash-forward, this graphic novel goes back to the future and sets the present in intangible spaces: a Museum of Lost Things, neurological hemispheres and a nonexistent beach on an artificial island. How will this be carried through? The 'darkness' of this future world begins as a layer of black on paper, out of which I erase the figures, locations and narrative piece by piece. Through this technique of 'bringing to light', an image of floating timelessness and incorporeality is formed that questions our analogue assumptions and plays with the present, past and future. J. Peter Schwalm, an internationally renowned composer of e-music, will complement selected episodes of the story with a digitally accessible audiovisual dimension. This is something new. I'm creating a graphic novel - and doing it differently: together with you. Visitors to the museum bistro in the Frankfurt Museum of Applied Art will be the readers, listeners and collaborators on an exciting story about love, hope and the rescue of humankind! The museum collection plays a part and the hardcover edition concludes the project in 2015: a witty, artistic examination of our contemporary museum culture and of our expectations for the future. My target group includes everyone who loves art, going to the museum and reading comics - as well as those who have their own ideas, are interested in the future and are curious about what we'll carry with us when we get there. You shouldn't be afraid of the dark or of playing a role in the story! To be there at the birth of a truly outstanding venture. Particularly in the German-speaking part of the world, such a mixture of story-telling and museum work is unusual - and this particular project is unique. In addition to the starting edition, financing ensures the conceptual and compositional work, material and the artistic execution of the graphic novel, including the actual studio work. And don't forget: your support secures the future of humanity! The various participants and spaces (artists, curators, the city museum, the public, the present and the shared future) come together in a fully innovative way. In an act of direct cooperation, artists and an exhibiting institution integrate museum work into the public realisation of a graphic novel that addresses museum culture as it impacts our daily life. This premise not only points towards the future of such projects in the age of digital networking - it is itself applied art. Its crowdfunding shows new, accessible ways to fill gaps in the financing of smaller cultural projects without depending on public funds. Drawings, exhibitions and film: images have steered almost my entire life. Born in 1967, I come from a family of artists - in which Felix Hartlaub, the Expressionist draughtsman and writer, already created graphic novels in the 1920s without referring to them as such. After studying at the HfG (Polytechnic of Design) in Offenbach, Germany and at St Martins College of Art in London, I have spent the past 20 years as a filmmaker in Frankfurt, New York and Barcelona. At my side is the Frankfurt exhibition organiser and publicist, Florian Koch (born in 1967), who brought my work to a larger public in 2014 in a show that included images from the graphic novel. 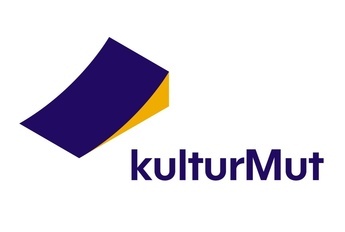 Florian Koch is a freelance manager in the field of arts and culture (www.kultur-am-main.de) and operates the non-book publishing company MeterMorphosen. He is a spin doctor, a consultant for dramaturgy and dialogue and is responsible for the project texts including press, marketing and e-communication. The Frankfurt composer and music producer J. Peter Schwalm (born in 1970) creates Neue Musik for film, theatre and ballet in collaboration with international artists such as Brian Eno. His evocative sounds and rhythms brilliantly complement and suit the images in the world of '2048'. The Museum of Applied Art, Frankfurt is an icon of contemporary architecture. Its main building was erected 30 years ago by Richard Meier as an anchor of the Frankfurt Museum Riverbank. In the novel, it plays a recurring and threefold important role: in 1986, in 2014 and in 2048 it stands - or, indeed, will stand - at the centre of our examination of basic questions about the cultivation of memory. Institutional collaboration on the project is provided by Matthias Wagner K, Director, by Martin Hegel, Director of Communication Design and Grit Weber, Manager of Press and Public Relations. Further consultants and contributors include Heidi Hahn, human geneticist at the Frankfurt University Hospital; Benjamin List, chemist and director at the Max Planck Institutre for Carbon Research in Muehlheim an der Ruhr and Roland Wengenmayr, physicist, science journalist and draughtsman. Werde Supporter! Schon mit einem Euro bist Du dabei! Einfache Abrechnung – Tausend Dank! A thank-you note from the year 2048! Tilda: "Thanks very much for your support, people from the past! I hope to see you in the future." and delivered to your postbox. Estimated delivery: From November 12th. one-of-a-kind charcoal from the future! a single-entry admission ticket to the Museum of Applied Art for the exhibition of your choice, redeemable until the end of June 2015. Estimated delivery: from November 12th through July 2015. Einmaliger Eintritt ins Museum Angewandte Kunst Frankfurt in eine beliebige Ausstellung, einzulösen bis Ende Juni 2015. Ten postcards from the future, handmade by Daniel Hartlaub. A Poster from the Future! Format A1 and signed by Daniel Hartlaub. A digital hiss composed by J. Peter Schwalm for the character 'Tilda'. Sent to you via e-mail. A black t-shirt with a white motif (Tilda!) from the year 2048: long-term machine-washable - at least for the next 34 years! Zeitloses schwarzes Girly Shirt ohne verwirrenden Text für endloses Tragen bis zum Jahr 2048 bei sorgsamer Pflege. composed and signed by J. Peter Schwalm. Estimated delivery: from Autumn 2015.
a signed copy of the complete graphic novel in 29 x 29cm and with an original drawing on the frontispiece. Participation in a workshop in animated film with Daniel Hartlaub in the Museum of Applied Art for children between seven and eleven years of age. Maximum number of participants: 15. Estimated delivery: Sunday, 8th February 2015 from 12 to 4pm. Estimated delivery: Sunday, 8th February 2015 from 12 to 4pm. participation in a workshop in the museum bistro with the graphic artist Daniel Hartlaub. Maximum number of participants: 15. Estimated delivery: Saturday, 18th April from 12 to 4pm. Estimated delivery: Saturday, 18th April from 12 to 4pm. Tilda loves Riesling: A carton (6 bottles) of 48iger Riesling. Tilda's favourite wine captivates through its unusually far-sighted bouquet. "Just opening the bottle takes you to another time," - Tilda's quote. Delivery only within the European Union. Graphic novel workshop for adults with artist Daniel Hartlaub. Estimated delivery: Saturday, 21st March 2015 from 12 to 4pm. A drawing of you - in a flash forward to the future. Entirely according to the motto "Beam me forward, Scotty," Daniel Hartlaub offers you the chance to catapult into the future. You send a current photograph of yourself and the year in which you'd like to be - the graphic artist will portray the future you in DIN A5 format. Props such as your cat, your car or your nanoclastic laser-driven spantrometer are welcome! A guest appearance in the graphic novel. Based on a one-hour meeting - in person or on skype - Daniel Hartlaub will integrate you as a story character in at least three panels of a sequence. You also receive one of the signed, original images as a charcoal drawing on mould-made paper. Your favourite image from the graphic novel as a signed original. Your favourite image from the graphic novel by Daniel Hartlaub as a framed and signed charcoal drawing in DIN A3 format with a personalised dedication. so you can be prepared for anything that might come your way in the future! 'Tilda's Hiss' / Ten postcards from the future / The Poster from the Future, signed and in DIN A1 format / CD with all tracks to the graphic novel / '2048' shirt that you can wear in the future / Signed graphic novel / A drawing of you in Flash Forward to the future / A guest appearance in the graphic novel / Your favourite original image from '2048'. Das Museum Angewandte Kunst, Frankfurt legt seinen Schwerpunkt auf Design, Performatives und Mode. Verborgenes sichtbar machen und Beziehungen schaffen zwischen den Geschehnissen und Geschichten rund um die Dinge ist der selbst gestellte Auftrag bei sich wandelnden Lebensverhältnissen.